How Parker missed him is beyond me. 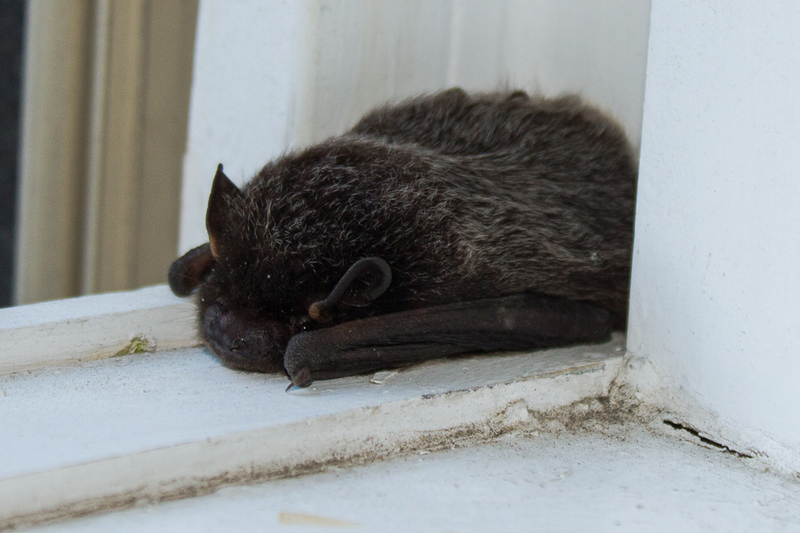 The bat was sleeping right at nose level by a window Parker frequently looks through. Even when Parker came over to investigate what I was doing with the compressed air, he didn't smell or see the bat. Good; last thing I wanted was to test Parker's rabies vaccination. At this writing (about an hour later) the bat has gone elsewhere, and my windows are closed or screened.